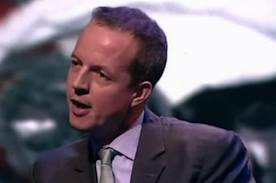 Planning minister Nick Boles has appealed to housebuilders to look beyond their “net value” and to their responsibilities to the British public during the run up to the next general election. Speaking at the Home Builders Federation planning conference, the minister referred to the Labour party’s alternative approach to housing as a “real and present threat”, and to the coalition’s “liberal approach” which allowed “housebuilders to do things while protecting what is precious”. He expressed surprise that few housebuilders had been appealing against difficult local authorities – one of the powers handed to the industry. “This is an example of short term interests undermining the long term interests of the people who rely on you to build,” said Boles. The minister also commented on housing design which, he said, was another example of housebuilders focusing too much on figures and spending. He compelled delegates to instead apply a “family and friends” test to help build homes that would be accepted. He added that the quality of house building is improving but there is “still a long way to go” before people would accept new homes in their town which were often seen as “ugly” by objectors. Earlier this week the Labour leader Ed Miliband committed his party to build 200,000 new homes every year by 2020 if Labour is returned to power at the next general election, which is expected in 2015. This entry was posted in New homes - events, New homes update, News and tagged 200000 new homes, house building, Housebuilders, housing design, New homes, planning minister. Bookmark the permalink.